The Merit Badge Fair is an opportunity for Scouts in troops and crews to work towards one or two merit badges. These are not giveaway merit badges, and this is not a merit badge factory. Each Scout is expected to fulfill all the requirements by attending classes and reading the merit badge book and preparing ahead of time. Scouts are expected to participate fully during the class in order to receive full credit for the requirements completed onsite. Adult participation is required to offer this event. Every unit with Scouts participating is expected to provide volunteers. The registration fee is $16.50 and includes a patch, lunch and all materials needed for the merit badge class unless otherwise stated. Registration is typically completed by parents, but can also be completed by the troop leadership. Registration is done only online using a credit card, electronic check or PayPal. Council refund policy. Late registration begins 5/10/19 and is $21.50. Lunch and patches are not guaranteed for late registration. Class sizes are limited and fill up fast. Classes will be canceled if a counselor is not found. Important: Before registering check the Scout's school and troop calendar for conflicts. Check which merit badges the Scout has already completed. Have the Scout discuss which merit badges they should sign up for with the Scoutmaster or troop advancement chair. When registering, if a class doesn't show up, then it's full. Some of the merit badges cannot be completed in the time we have which will result in a partial completion of the merit badge. Uncompleted requirements and/or prerequisites will be addressed by the respective Scouts and troops. There may be some requirements in addition to the prerequisites that are not completed. For all merit badges, the Scout must read the merit badge book and bring it to class. Crime Prevention: #2, #4, and #7b. Scholarship: #1, #3, and #4. Citizenship in the Nation: #2, #3, #6, and #8. Adult participation is required to offer this event. Every unit with Scouts participating is expected to provide at least one volunteer for every six Scouts attending. Additional volunteers are needed and appreciated. Adults can serve on event staff or as merit badge counselors. Successful Scouts have the support and guidance of parents. The parents are a treasure trove of information that can benefit every youth in our leadership program. The successful leader in Scouts learns quickly to be successful in everything they attempt. Adults are needed to set up the facilities before the fair starts, handle registration, act as "roamers" to look out for issues that need to be resolved, assist the merit badge counselors, and to help clean-up after the event is over. Volunteers who work directly with the youth must have current Youth Protection Training. YPT can be taken at www.myScouting.org. 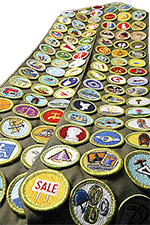 Merit badge counselors are needed to run the merit badge classes. 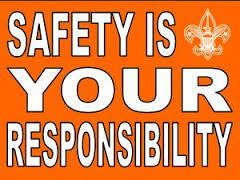 Merit badge counselors must be registered with the council and have up to date Youth Protection Training. YPT can be taken at www.myScouting.org. It is our goal for the Scouts to be afforded opportunities to share resources from other troops with diverse occupations and skills. The youth will be expected to complete all the requirements as indicated by the Boy Scouts of America. 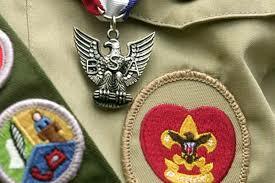 Merit badge counselors should wear their Scout uniform if possible. The merit badge counselor is a key player in the advancement program. Whatever your area of expertise or interest—whether it is a special craft or hobby (basketry, leatherwork, coin collecting), a profession (veterinary medicine, aviation, engineering), or perhaps a life skill (cooking, personal management, communications)—as a merit badge counselor, you can play a vital role in stirring a young man's curiosity about that particular topic. By serving as a merit badge counselor, you offer your time, knowledge, and other resources so that Scouts can explore a topic of interest. The BSA's Commitment to Safety is ongoing and we want you to know that the safety of our youth, volunteers, staff, and employees cannot be compromised. The Boy Scouts of America puts the utmost importance on the safe and healthy environments for its youth membership. The Sam Houston Area Council takes great strides to ensure the safety of its youth as well as the adult volunteer leadership that interacts with them. One-on-one contact between adults and youth members is prohibited. Health and safety must be integrated into everything we do, to the point that no injuries are acceptable beyond those that are readily treatable by Scout-rendered first aid. As an aid in the continuing effort to protect participants in a Scout activity, the BSA National Health and Safety Committee and the Council Services Division of the BSA National Council have developed the "Sweet Sixteen" of BSA safety procedures for physical activity. These 16 points, which embody good judgment and common sense, are applicable to all activities. For questions, contact the Mrs. Aurelia Zapata or Ms. Valerie Richardson.